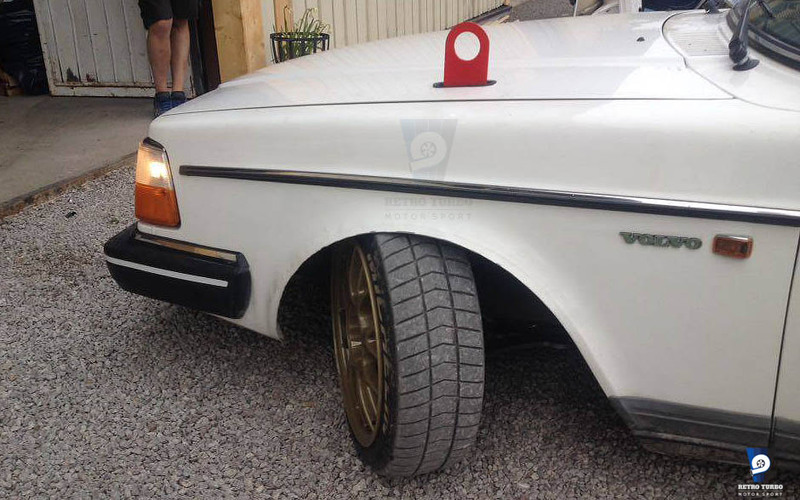 FIRST P&P DRIFTING KIT FOR VOLVO 240 SERIES! Wishbone KIT is designed for drifting Volvo 240 260 Series. These wishbones provide 65 degree steering angle and broadens track by 140 mm comparing to standard, as well provide increased caster, camber angle and adjustable ackerman. 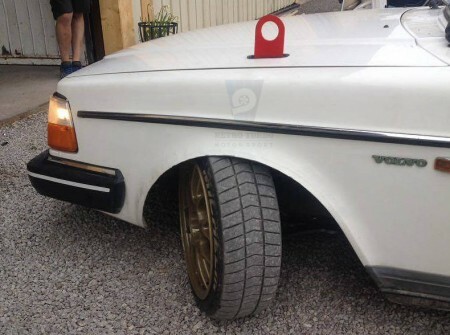 Please note: To get an optimal drifting front end to your Volvo 240 you have to upgrade your stock struts with Volvo 740 or 940 coilovers. Reason is that Volvo 240 wishbone design and construction proves to cause geometry problems once lowered as well as having too weak attachment to the chassis for drifting application. This kit contains everything needed to mount Volvo 740 940 legs on a 240. 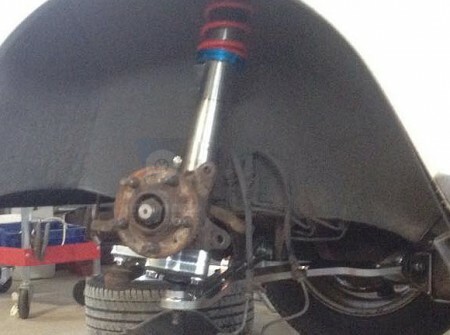 However, it requires that there is a coilover type spring when the original springs not fit. No change of any attachment point to the body is needed, but it requires some change of front fenders for proper clearance. 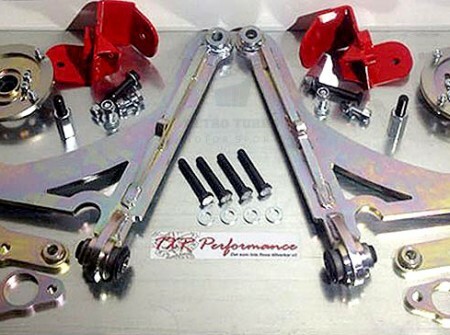 The kit includes: adapter brackets, control arms, steering arms and camberplates. With KIT you will receive all appropriate mounting bolts and fasteners as well as installation instructions. Set comes in yellow galvanizing. Just few thing you have to keep in mind – KIT is for Motorsport ONLY and you have to ditch your front swaybar for maximum lock on the wheels. Mind that you will have to either flair the fenders or have them rolled. 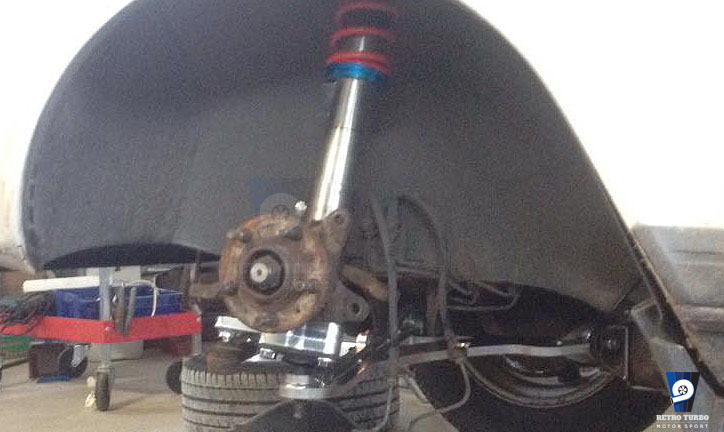 Yes, KIT requires you to have a coilovers on, and since you wont have front ARB think about pair of stiff springs. Proudly made in Sweden by TXR Performance exclusively for RetroTurbo.com! - Delivery takes about 10 working days. - KIT can accommodate PU bushes when rubber ones wear out. - Customers in USA to inquire about VAT free sale! - £15,00 Delivery within UK mainland. SKU: 240wishboneKITtxr. Category: Camberplates, Volvo 240 Series Parts. 242 Turbo T-Shirt, ‘XXXL’ size.